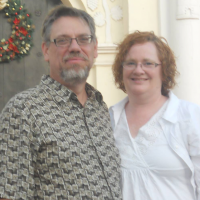 Lyn & Jim Moomey are Directors of The Ruby Baby Havens located in George, West Cape, South Africa. With a passion to the the fatherless nutured, they have spent themselves on behalf of the orphan. For additional information regarding their work in SA, visit their website at moomtercrew.com and be sure to subscribe to their newsletter.